Podcast: Ken and Robin Talk About Stuff: Episode 178: Whoops! Democracy! 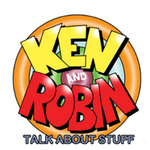 Podcast: Ken and Robin Talk About Stuff: Episode 174: Metaphor Drift! Metaphor Drift! Roll the dice with us as Among My Many Hats finds Ken headed to Las Vegas 68. Grant our dramatic petition while How To Write Good breaks down dramatic scene construction. Join us for a plate of tamarind-infused noodles as the Food Hut looks at the politics of pad thai. Finally, narrowly avoid drowning not once but twice as Ken’s Time Machine explains why our hero saved both a young James Garfield and his eventual assassin Charles Guiteau from separate watery graves.